This custom-designed two-storey boutique guesthouse comprises of 10 luxurious rooms, each individually furnished with the utmost care. It offers style and elegance, with all the amenities needed to make your stay a memorable one. We are conveniently situated within the upmarket suburb of Beacon Bay, with secure off-street parking, We are a 5 minute drive from the N2 highway and 16km from the East London Airport. Experience both the comfort of feeling at home and the indulgent sense of being on holiday in this beautifully designed space. As with our brand logo for 36 on Bonza – “The Koi Fish“ – our guests will be captivated by the brightly coloured array of koi on arrival. The stunning koi in the uniquely designed pond are both enchanting and mesmerising. 36 on Bonza in East London is the perfect venue to host your intimate daytime events. All of our rooms come fully equipped with a mini kitchenette as well as having both a shower and a bath. Free WiFi and Hospitality DSTV are included and some rooms have their own private balcony. 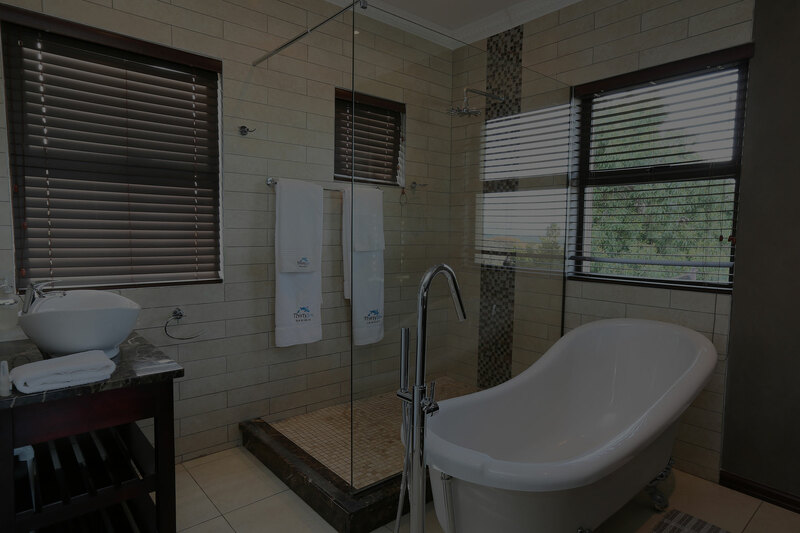 All rooms come stocked with our personalised hand-crafted, oil based essential-oils hand soap as well as personalised hand and body wash, hand and body lotion and conditioning shampoo. 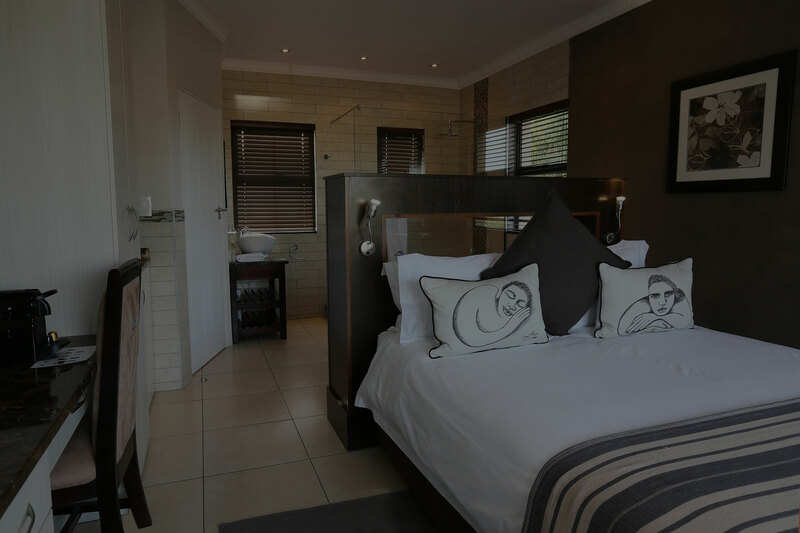 Rates – start from R1250.00 for a sgl/ per night. R900.00 pp/ per night for a couple. A beautiful place indeed. I found the staff service to be of high quality, a bit of home away from home, It has a peaceful atmosphere, wifi had no problems, breakfast was great and the oxtail prepared for us was great. Definitely worth every cent I spent. Better than any hotels in East London. What a pleasant surprise to find 36 on Bonza. A well organized, stylish Bed & Breakfast with great rooms, coupled with excellent service. 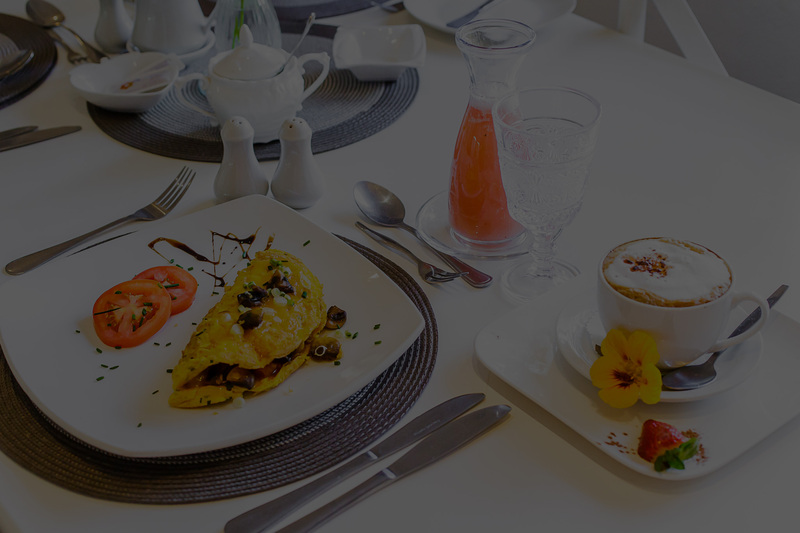 3 Quality restaurants nearby and an excellent breakfast. Kim , the manageress is a great host. After many years of staying at hotels in East London, we have found the answer for an overnight stay. I spent two nights in this guest house and it was great. The room is very luxurious. The breakfast had a wide variety of cold and hot meals. The location is in the middle of everything. Would highly recommend. Awesome place to stay at. Kim and the team are friendly and efficient. It’s like home away from home. Very neat and tidy. They are very accommodating. We stayed at 36 on Bonza en Route to Port St. John’s from Cape Town. The staff were helpful and friendly and our room was chic and comfortable. We had everything we needed and more! We opted for a take away because we’d had a long journey and enjoyed relaxing in the bar while we waited for our meal to arrive. Definitely a first class stay and we can highly recommend this gem of a boutique hotel. Excellent venue for a stay over en route to a final destination. We were welcomed by friendly staff and surprised with a cappuccino. The room was excellent and the wifi was effective. A dinner recommendation and reservation was made on our behalf. Comfortable bed and ample parking on site. A vehicle is a must as no public transport is available in the area. The honesty bar supplied all our needs. The breakfast was excellent and the service really good. This has to be one of the finest, must visit again B&B’s in South Africa. The rooms are excellent and the staff are the friendliest and most welcoming hosts one could ever wish for. 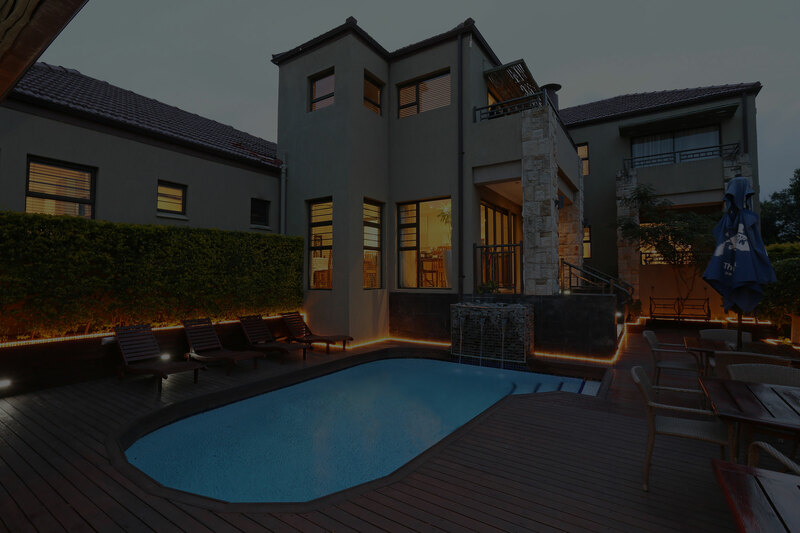 The B&B is ideally located in Beacon Bay, close to several good quality restaurants and shopping centres. It is a quaint B&B and your hosts, will ensure that you are made to feel most welcome. Having travelled through East London many times, we decided to try 36 on Bonza on our recent trip home from the north for it’s location close to the N2. The quality of the room, breakfast & facilities are all excellent & it was a real pleasure to stay here. Thank you so much for an excellent stay. Asanda you are an absolute star, so accommodating, friendly and welcoming. Will definitely come back and stay again. Till we meet again. Excellent stay, would definitely recommend to others. Thank you. I had an amazing stay. Comfort meets elegance. We enjoyed everything 100%. Thank you, our home away from Hawaii! Thank you for the wonderful hospitality, a beyond-the-call-of-duty treatment is most welcoming. Best B+B by far and the most beautiful.